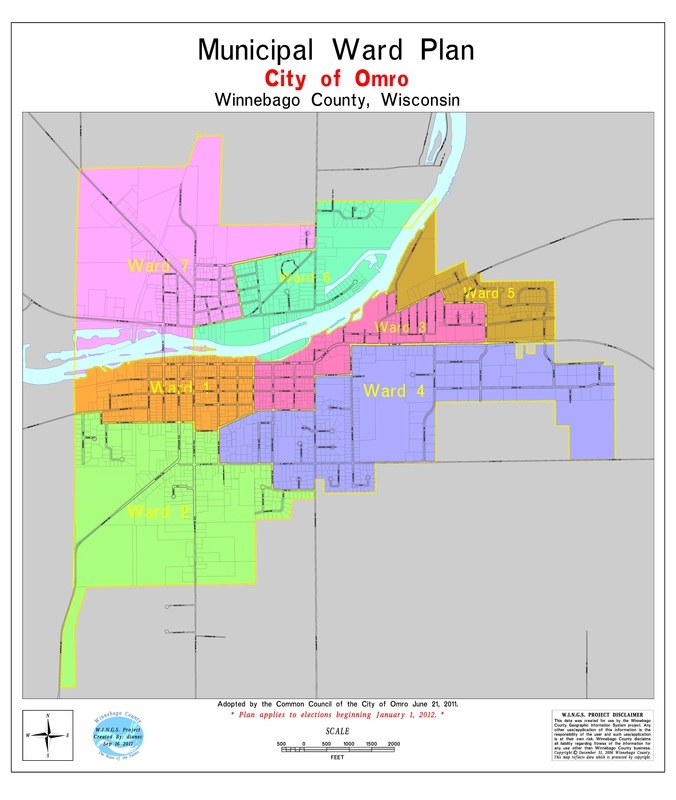 The City of Omro was required to make ward line and aldermanic district line changes following the results of the 2010 Census. The census information showed a dramatic shift in population from the west side of the city to the east side, as well as movement to new housing developments. As a result of the census, residents may find their voting residence located within a newly designated ward or district. There are three aldermanic districts comprised of seven wards.